Midwest Refineries LLC takes huge pride in dealing with repeat customers for years which provides a huge relief for new customers knowing that they are dealing with a trustworthy gold bullion refinery. The company does not discriminate on the amount of gold or silver you turn in for refining whether it’s a giant gold dental scrap lot or just a few family rings or coins you are selling. All orders small or big are welcome! Midwest Refineries LLC offers solid pay out returns on your gold bullion weight. They pay 95% of the actual spot price of gold for your gold scrap weight and 90% for your silver. 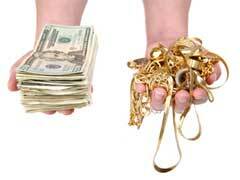 That is one of the highest pay outs on the gold market you can get for you unwanted gold jewelry and coins. They are not going to charge you any assaying fees if you are turning in your gold bullion bars that some companies do. There are no minimum order charges or gold refining process charges. You are getting paid solid pay outs no matter if you order is small or big. Jewelry shipping instructions are clearly posted on their website, including what information to include with your package. You are not going to be paid for any precious stones that come with your gold jewelry; these get vaporized during the refining process. Customers are urged to remove stones before sending in gold or silver jewelry if they want them for a keepsake.